The National Weather Service In League City Has Issued A * Severe Thunderstorm Warning For... Northern Grimes County In Southeastern Texas... Southeastern Madison County In Southeastern Texas... West Central Walker County In Southeastern Texas... * Until 730 Pm Cdt. ...Read More. The National Weather Service In Corpus Christi Has Issued A * Severe Thunderstorm Warning For... North Central Aransas County In South Central Texas... Northwestern Calhoun County In South Texas... Victoria County In South Central Texas... Goliad County In South Central Texas... ...Read More. The National Weather Service In Corpus Christi Has Issued A * Severe Thunderstorm Warning For... Western Nueces County In South Central Texas... Northwestern Jim Wells County In South Central Texas... * Until 730 Pm Cdt. * At 648 Pm Cdt, A Severe Thunderstorm Was Located Near Alice, Moving ...Read More. ...a Severe Thunderstorm Warning Remains In Effect Until 700 Pm Cdt For Victoria...goliad...east Central Live Oak...northwestern Refugio And Central Bee Counties... At 644 Pm Cdt, A Severe Thunderstorm Was Located Near Berclair, Or 12 Miles Southwest Of Goliad, Moving East At 30 Mph. Hazard...70 Mph Wind Gusts And Half Dollar Size Hail. ...Read More. The National Weather Service In Corpus Christi Has Issued A * Severe Thunderstorm Warning For... Northwestern Nueces County In South Central Texas... San Patricio County In South Central Texas... Northeastern Jim Wells County In South Central Texas... Southeastern Live Oak County In South Central Texas... ...Read More. 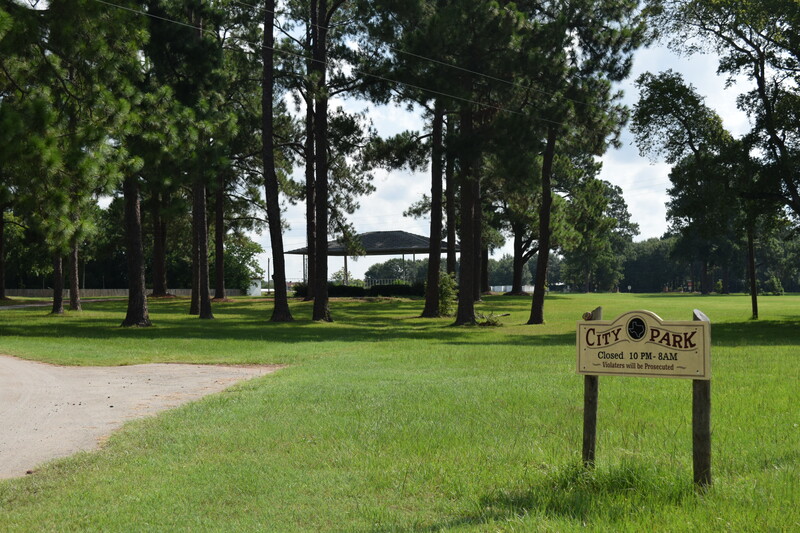 GRAPELAND – During a Grapeland Noon Lions Club meeting held on Thursday, Aug. 3, Lions Club President Mike Goolsby informed club members of a new development with the Peanut Festival. “Because of increased expenses, mostly related to security and other things, the (Grapeland) Chamber (of Commerce) has implemented a $1 entry donation to get into the park that day (Saturday). So, there is an admission fee to come to the Peanut Festival, effective this year,” Goolsby said. Grapeland Chamber of Commerce President Pat McNieve confirmed the admission fee later that same afternoon. He said a $1 entry fee would be charged for both the Friday night dance and the Saturday festival. “The city has instituted a charge for the rental of the City Park. It is due to increasing costs being incurred by the Peanut Festival Committee for having the festival. The city is trying every way they can to raise revenue, so we’re paying for the rental of the City Park this year,” he said. McNieve stressed this should be viewed more as a donation than a fee. “Basically it’s a $1 donation. If someone says they’re not going to pay for that, we’re not going to keep them out. There is no real way to enforce this. People can walk into the City Park from several different avenues,” he said. While the fees will go to help offset costs, McNieve indicated if someone chooses not to pay the fee, the festival goer would not be denied access to the park. The chamber president was also questioned if there would be a re-entry fee should an attendee decide to leave the park and return later. “Our thoughts were we’re going to get a peanut stamp to stamp a person’s hand. No, there would not be a re-entry fee charged, if you had a stamp. We’re trying to find a peanut stamp, anyway,” he said with a laugh.